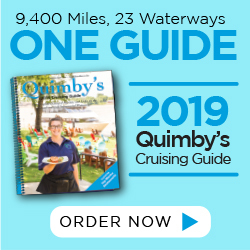 The TowBoatUS St. Charles service area extends from the Winfield Lock and Dam at mile 241.4, to the Melvin Price Locks and Dam at mile 200.78 of the Mississippi River. The service area also includes the confluence of the Mississippi River and Illinois River up to Hardin. Two bright-red response boats, a 33-foot Cruisers express cruiser powered by twin 350-horsepower inboard engines and a 20-foot Tahoe runabout with a 235-horsepower inboard/outboard engine, are on call and ready to help 24/7. 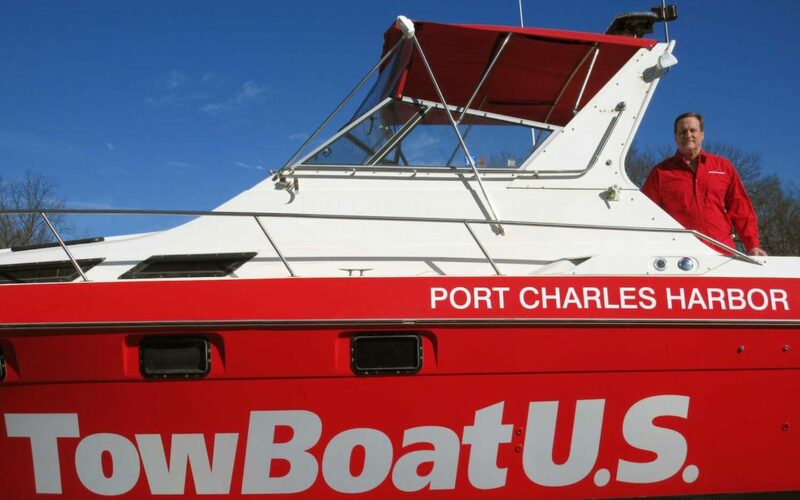 The TowBoatUS name is emblazoned in white letters on their hulls, and both are fully rigged for towing and salvage, with powerful pumps, battery jump packs, dive gear and extra fuel. All are helmed by experienced licensed captains. Boaters can reach TowBoatUS St. Charles by hailing on VHF channel 16, calling the company directly at 636-250-2628, by phoning the BoatUS toll-free 24/7 Dispatch Center at 800-391-4869, or via smartphone using the free BoatUS Towing App. More information can be found at BoatUS.com/towing or call 800-888-4869.